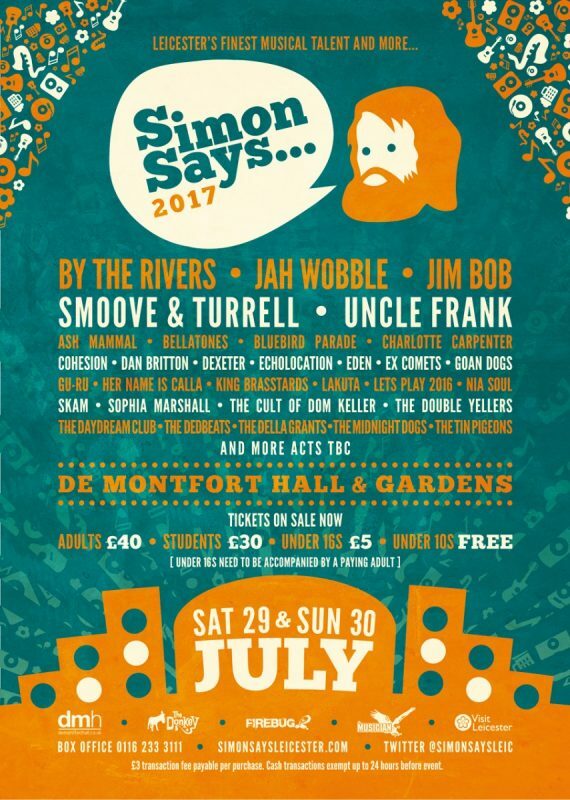 De Montfort Hall, Firebug, The Donkey and The Musician have announced details of the line-up for the fifth Simon Says… festival on 29 & 30 July at De Montfort Hall & Gardens. As in previous years, the line-up is a blend of local artists alongside more established names, which this year include Public Image Limited’s Jah Wobble, Carter USM’s Jim Bob, 6 Music favourites Smoove & Turrell, Fun Lovin’ Criminals Frank Benbini and local brit reggae band By The Rivers amongst the 70 or so acts playing across the weekend. Ex Public Image Limited bassist Jah Wobble, famed for his close association with Jon Lydon and Sid Vicious, has had a career spanning 37 plus years. From a number one with PIL, to a Mercury award nomination, and then performing at Glastonbury. Jim Bob formed Carter USM with guitarist Fruitbat, and together had 14 top 40 singles and a number one album, gaining notoriety for socially aware pop lyrics. Outside of Carter, Jim Bob has released eight solo albums, written an autobiography and made his stage debut in a musical at the Edinburgh Fringe. Soul powerhouses, Smoove & Turrell, blend funk and northern soul with electronica, rock, pop, and jazz. 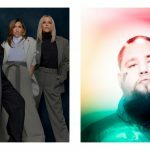 The release of their first album gained them two records of the week on BBC Radio 2, their first ever national playlist on BBC 6 Music and a performance at Glastonbury. 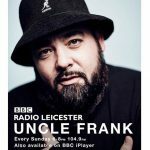 Frank Benbini, of Fun Lovin’ Criminals fame, and fellow multi-instrumentalist Naim Cortazzi, make up the two halves of Uncle Frank, and are set to make big waves in 2017 having already had national radio success on BBC Radio 6 and BBC Radio 2. Hot on the heels of their first headline tour, Brit reggae favourites, By The Rivers make a welcome return. Having played at Glastonbury and been special guests for Madness, The Specials, and The Selecter; they’re about to tour again supporting the legendary Wailers. Of course it wouldn’t be Simon say’s without the vast majority of acts being locally or regionally based and this year is no exception. Brand new acts for this year include The Tin Pigeons, a four piece indie-folk band from Rutland, championed by BBC Introducing last summer; fellow first timers Her Name is Calla, now celebrating over 12 years together, are already a fixture on the local music scene; The Daydream Club, a multi-genre award winning husband/wife duo; GU-RU with their psychedelic explosions of cosmic soul, funk and motor groove; and whacked out soundscapes from DIY sonic alchemists The Cult of Dom Keller. 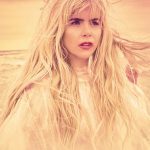 Simon Says… fans will also be delighted with the return of festival favourites Dexeter, described by legendary BBC presenter, Bob Harris, as “country Fleetwood Mac,” and The Della Grants merging of blues, rock and R&B. Expect punkish unpredictability and outlandish art from the return of Ash Mammal and after the raging success of the Let’s Play Bowie set in 2016, we’re bringing back Let’s Play 2016, a multi performer tribute to lost music legends from the last year. 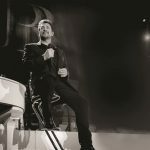 Tickets for Simon Says… are already on sale. Weekend tickets cost £40 for adults, £30 for students, £5 for under 16s and under 10s are free. Under 10s get in free but will still need to have a booked ticket.